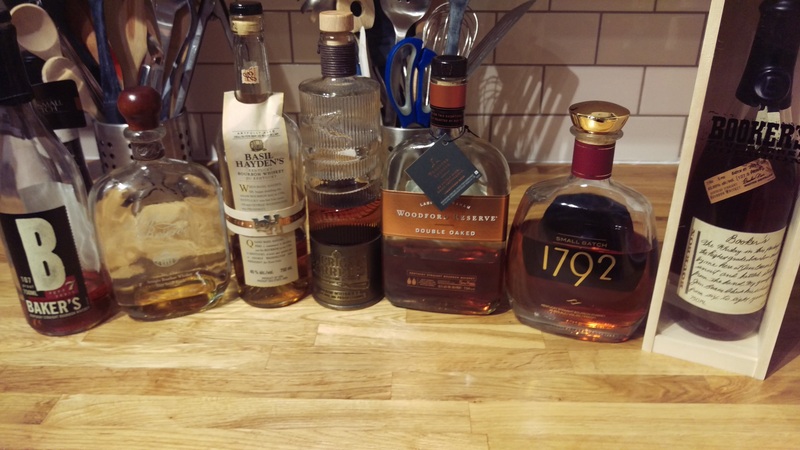 Had an evening by myself tonight, and had to decide what to drink from my current collection of Bourbon: So, I chose a glass of Basil Haydens for a fun comparison. Having had a glass of scotch half an hour earlier, I was ready to dive right in. I started with the Basil Haydens: Good….